Once upon a time someone in a business meeting in a tall building told his team to tell everybody everywhere that hospitality meant a good meal, a clean apron, and a tall house. And once upon a time long before that a man told a woman named Martha who was busying herself keeping her house clean and well kept for her guests that she was missing out on the good things. It is quite easy to get caught up in thehow-to of hospitality and forget the heart of it. The heart of hospitality for anyone who loves Jesus is to extend the love they received first from Jesus to others. There isn’t a rule about how to do hospitality. But! There is a rule that we must practice hospitality. Hospitality is defined as the friendly and generous reception and entertainment of guests, visitors, or strangers. That’s a beautiful description of a nice thing; however, Christians must add another ingredient: doing it with the love of the Lord. Paul, in the book of Colossians, tells us to do all things as unto the Lord. In terms of hospitality, it is all fine and dandy if I cook a good meal and serve it. But it is good and holy — and therefore better — if I ask the Lord to be in charge of each table I set, cup of tea I pour, and word I speak. For the Christian, hospitality means extending the love of Christ to everyone. This can and should look different for me than for you. That’s the beauty of it. The rules society has taught us about hospitality do not apply in the Kingdom of God. Because, as Jesus shared in a parable, the banquet is for everybody, and especially the ones who normally would not be invited in. Who is our hospitality for? Who is directly in your view? For many there would be an easy response. The married would extend first to their spouse. The parent to their child. But what about the ones like me? Marriage is not on my resume, and so for myself, I have had to ask the Lord what it means to be a hospitable woman without a husband. For many years I bought into the hype that hospitality was for marriage and a white picket fence lined house. It certainly was not for me when I was single and in my twenties. Yet, the more I thought about it, the more I realized that I do have people in my view to care well for. I have a roommate, many friends, people who I lead in community group, and the women I lead in a Bible study. I have the children I teach, the friends I take classes with, the neighbours I share the elevator ride down to the main floor with. I get to extend the love of Christ to everyone I encounter. I can offer a space of healing — the healing found only in the love of Christ — by inviting other people into my space. I offer what I know, which is Jesus, and I offer what I want to know more, which is Jesus. When I moved into my current home, I spent time walking through it and praying over it. I let my hand drift across the walls and I asked the Holy Spirit to make Himself known in my home. I told Jesus that He got to be in charge of every moment in my home. I asked Him to come and reside with me. In the Old Testament, it was common to consecrate things to God. I think it is good practice to do that nowadays. Give the Lord your things. Place them before Him and ask Him to help you. Have you asked God how you are meant to live out hospitality? Jesus is in charge of my home. I can say that because I have asked him to be. I have told him to be sovereign and in charge and in control and I have surrendered everything to him. I have asked him to show me who to invite to things, have asked the Holy Spirit to give me good words of life, and I have told the Lord that his will is to be done in my home. That is not a selfish request but a holy one, and it is one I have seen him honour. I watch friends open up and share about their hard things because I do the same. I share my doubts with others about the gospel because I see that Jesus welcomed the questions of others. I know God is not afraid of my questions and concerns and is fully capable to listen and answer me. So I show other people that I know that to be true by doing the same. I share my joys and my excitement with everyone who comes because the Lord is my portion and my strength. 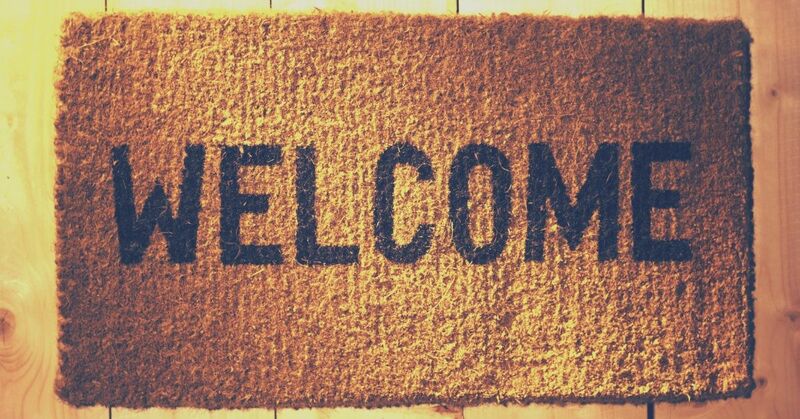 Many of us are waiting for the right time to practice hospitality. What? Why? Who told us we had to have A B C in order to do ministry? Jesus was a guy who talked to a disliked man sitting in a tree. He invited Himself into homes. He did not wash His feet. He made breakfast for His disciples. That is our Jesus. He is the one who did what needed to be done at the moment it needed to be done, not for the sake of being showy or important but because all he ever did was rooted in love. I do not offer fancy things. I certainly would never discredit fancy extravagant things but I am in a season where it would be difficult for me to offer them. My budget does not allow me to make meals for a lot of people but it does allow me to make cups of tea and coffee. I would like to make a roast chicken for every single person who enters my house but instead I tend to make a pot of chili because everybody likes chili and it is easy to make it serve more people (just add water). When are we meant to be hospitable? Today is the day to invite someone over. You can wait until it is a good and right time or you can show people that Jesus accepts you right now as you are. Jesus accepts you if your house is large or if you live in a tiny little flat. You might have tall ceilings or short ones but the love of Jesus fits everywhere. The call of culture towards hospitality has much to do with finery and decor. The call the Lord has placed before His children is to welcome everybody in and talk about Him. Be encouraged as you consider this: Jesus left heaven — a place that was the best — and came to earth — a place that is broken — and offered us the only hope possible: himself. That is the ultimate hospitable act. He gave what he had — everything — because he knew that only he could save us. A small un-fancy home is not a good enough reason to delay showing hospitality. Christ has offered you new life. Extend his love to others.